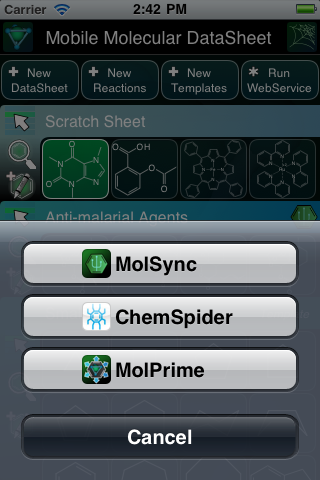 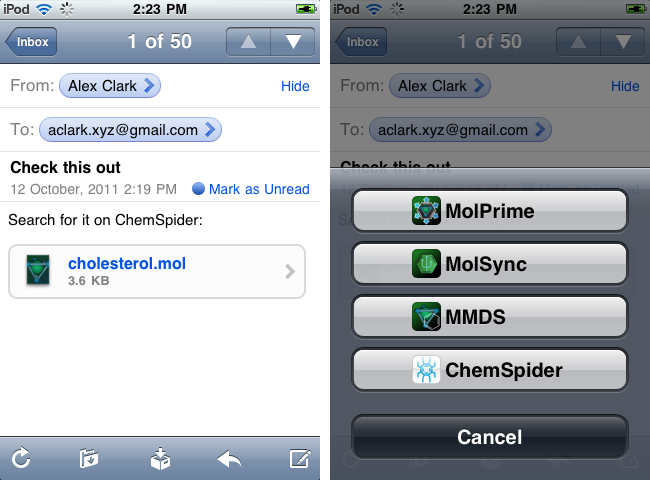 This feature brings the ChemSpider Mobile app in line with a growing collection of chemistry apps, including the Mobile Molecular DataSheet (MMDS), MolSync, Reaction101, Yield101, Mobile Reagents and MolPrime, (see product page) that are capable of sending and/or receiving chemical data from one app to another, be it on the same device or via the Internet. 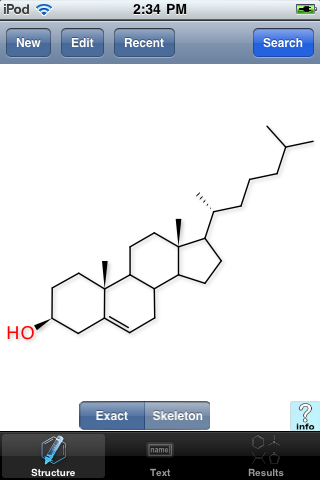 Pressing the Search button will initiate the search for the structure of cholesterol. 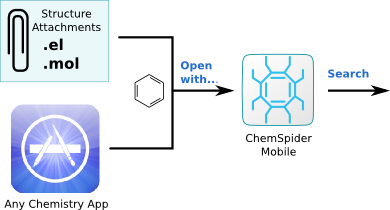 This capability is by no means limited to apps from Molecular Materials Informatics. 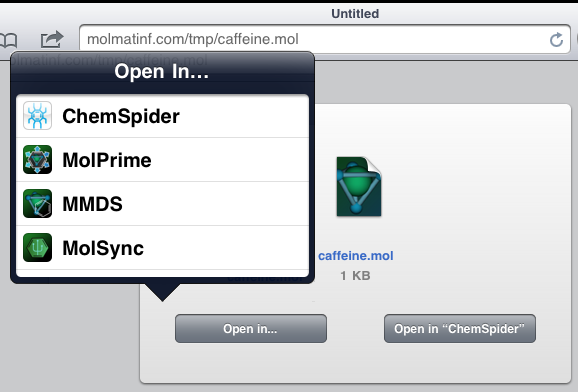 It can be taken advantage of by anyone who implements some simple functionality that is provided by the iOS SDK, which is described in detail here.